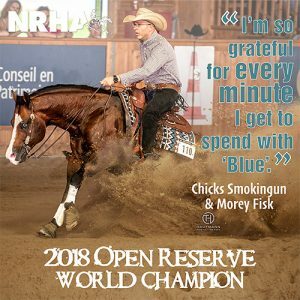 These reiners rose through the ranks in the Open division during the 2018 season, competing with the best horses and riders in the world to earn reserve world champion honors. We caught up with each of the riders to learn more about what it takes to achieve such a feat, and we’ve compiled their answers below. Watch the web in April for a special spotlight on the 2018 non pro and youth reserve world champs, too! Partnership Histo­­ry: I got the chance to start riding ‘Blue’ a couple months before the 2016 FEI World Equestrian Games™ (WE­G) in Switzerland. I showed him in 2017 and won just over $10,000 with him, including the CS Classic where we marked our highest score up to that point: a 225.5. He was really good there, so that was a great moment. As 2018 started, we decided to go for the world title. Was an awesome year with this horse, had some great wins and awesome scores. I’m so grateful for every minute I get to spend with horses like him. He really is just pure fun! Blue’s Personality: Blue is awesome in every way. He’s so easy to be around. It doesn’t matter what you do with him, he’s going to try his best. I’m sure anyone who has been around horses knows what I’m talking about. Good horses like him don’t come around every day. Proudest Moment: I would have to say winning the Horse Academy Trophy was one of my proudest moments with Blue. Winning it was great, but how he won was special to me, because he gave me one of those rides that was really fulfilling for me as a horse trainer. He was just about as perfect as could be, and we marked a 227.5. Biggest Obstacle: Our biggest obstacle was Bernard Fonck! He is really competitive and seldom makes a mistake. 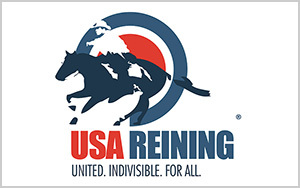 Unfortunately, I did at the Matzendorf Reining Masters, where I accidentally turned five times. That cost me a lot and was enough to keep me from having a shot at winning the world title. But at the same time, I am happy for Bernard, so congratulations to you, Bernard! Great job again! What Winning Means: Winning this title is really cool. It was my first run at a world title, and I had a blast doing it. Also, for me to have brought this horse to this title is great; He really deserves it. 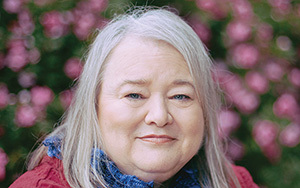 I could not have done it without the support of Blue’s owner Sabine Schmid and Terry Schultz. Thank you, guys! The Future: Blue will start his stud career this year, and I will show him at the major events. We’re excited for another season! Great King Jack, ridden by Bill Thomas, Jr.
Partnership History: Great King Jack is out of my broodmare, Great Red Jackie. I showed another one of Great Red Jackie’s babies, Smart Red Jackie, to the Novice Horse Open Level 1 World Champion title in 2014. Great King Jack’s Personality: He is an easy stallion to be around. Honestly, anyone could show this horse, because he loves his job, and he wants to work. I have often thought at shows, “If I asked this horse to walk up those bleachers right now, he would.” He just wants to please. Proudest Moment: I was proud the entire campaign. This is my horse, out of my broodmare, with my training, and he never disappointed me, ever. Biggest Obstacle: My biggest obstacle was that I didn’t decide to run for the title until late in the season, so I had a lot of catching up to do. What Winning Means: Winning this title is sentimental for me since I own Great King Jack’s mother. I love her babies. 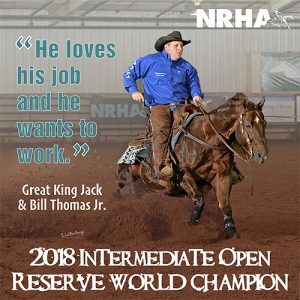 After winning a world title with Smart Red Jackie in 2014, I wanted to do it again on Great King Jack. Their dam is special, and it carries through to her offspring. The Future: He has bred some mares and has offspring on the ground. I am looking forward to training and showing them, but Great King Jack isn’t done yet, either! Partnership History: I just started showing professional in April. We’ve been together about a year. We just started to click—he knows me, and I know him. Cornbreadntinseltown’s Personality: He is a crowd-pleaser—just such a nice looking horse. He has a phenomenal mane and tail on him, as well as his mind. He’s still a stud, but he can be around any mare and not care. His personality is just great, I can just throw a lead rope about him and ride around the arena. He’s just a lot of fun to be around. Best Moment: I enjoyed meeting so many different people. It was great to see how supportive people can be of you, even if they just met you. 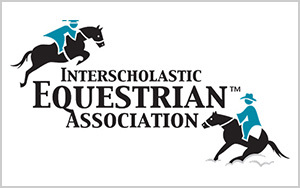 Biggest Obstacle: There were no injuries during the year, but there was one maneuver that my horse and I just seemed to struggle with throughout the year. We were running large circles to the left, and he would fall out of lead in the back end. Over a period of time, though, I worked with some other professionals to figure out what was happening and fixed it. What Winning Means: I just think it’s awesome how far I’ve come in just a year, especially coming from riding lower-level horses to now riding horses like Cornbreadntinseltown. I feel like I’ve gone from a nobody to a somebody. The Future: He just turned 8, so we might hit some 7 & Up shows, but we’re also going to try to qualify and show at the Pinto World Championship Show, as well as maybe the Paint and Quarter Horse World Shows. I’ve got a 3-year-old that I’m working with for the futurities as well. Partnership History: I bought ‘Cooper’ at the Congress in 2016. In 2017, we showed at the affiliates, then ran for the NRHA world title in 2018. Cooper’s Personality: Cooper is a very feely horse. He is extremely responsive to my aids and wants to do his job, but I have to make sure that he gains confidence with every ride. He’s the type of horse who carries his sensitive nature into every part of his day and takes things very personally. He’s very aware of his surroundings and sometimes overreacts to little things when in-hand. However, when we are in the pen, he has a sense of confidence about him that makes me think he likes what he does. He’s been a really fun horse to take on this journey. Cooper has allowed me to push myself to be a better showman while perfecting my timing of when to back off the controls so as not to interfere with his job. Proudest Moment: Without stating the obvious, my proudest moment was winning the Reserve Champion title. Next to that, at an affiliate show late in the season, the top three in the overall standings for Rookie Professional were all competing with each other. As it turns out, we all tied for first, so there was a runoff. Cooper and I won it, and that feeling will be hard to forget. It was particularly nice because some of my good friends were at that particular show so I was able to share that moment with them. Biggest Obstacle: When I tried this horse at the Congress before I bought him, he felt like everything I’d been missing in the other horses I had shown. His spins were great, he guided well, and I thought he stopped well, too. As I began making him my personal horse, I found he was more inconsistent in his stops than I originally realized. He tended to pop up sometimes or land hard on his front end. I knew the stop was in there and he had the potential to stop big, but I struggled to get connected with him. Eventually, we figured it out, and by our second season together we were connecting much better, which allowed for more consistent scores. What Winning Means: The title is very meaningful in multiple ways. In addition to validating my time and commitment to training Cooper, it allows others to view this win as a reflection on my training program. For me personally, it’s a stepping-stone to bigger and better things to come. I wasn’t really running for this title until mid- to late season when I realized I was in the top five. Before that, I was busy running my business at home and only showing here and there. Had I gone to a few more shows earlier in the year, our outcome may have been significantly different. Next time I run for a title, I’ll start showing a little earlier. The Future: In 2019, Cooper and I will continue showing, but he is for sale to the right home. I own all the horses I show, and unfortunately, I cannot keep them all if I want to progress as a showman and ride new horses. I have a few prospects coming through the pipeline in my program, so I will need to make room for them. Part of my job as a trainer is to provide great quality prospects for others to ride, and Cooper is definitely one of them! 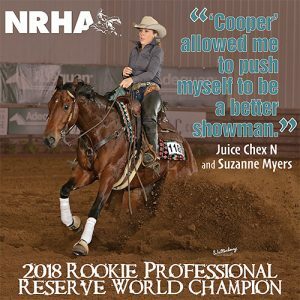 I fully commit to all my horses, and when the time is right, Cooper will find his new match and help them be successful in their show career. Partnership History: We bought ‘Fabio’ in January of his 3-year-old year. He was green, but we knew he had a lot of potential. 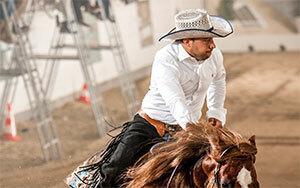 We planned not to rush him, but he came on strong and made the Level 4 futurity finals at the Congress. Fabio’s Personality: He is a very relaxed and kind horse. Fabio always relies on his rider for confidence because he never wants to get into trouble. The funniest thing about this horse is probably the irony in his name—Fabio. He has hardly any hair and essentially no forelock! Proudest Moment: I am most proud that we earned this title with only a limited amount of showing all year. 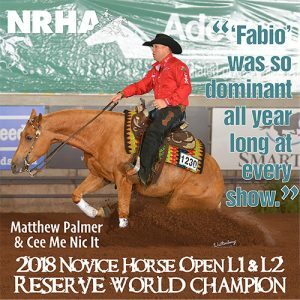 We did not even know Fabio was sitting reserve until someone told us at Congress! He was so dominant all year long at every show, so we are very proud to have achieved this through just a few shows, without running for a world title. Biggest Obstacle: Since we realized what position we were in so late in the year, it was tough to make sure we attended enough shows so the title would count. We went to a few extra shows at the end of the year, and he continued to put up some big scores against tough competition! What Winning Means: I always feel very grateful for winning titles like these because you know how hard it is to get there and appreciate the talent of the competition. 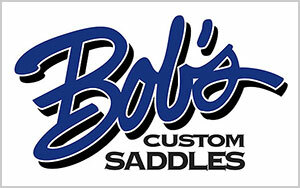 The Future: Fabio was sold at the Futurity and is now living in California. We look forward to seeing his success as a non pro derby horse! 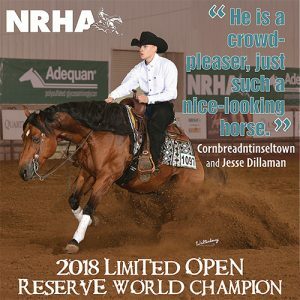 To read about the 2018 Open World Champions, check out the digital edition of the NRHA Reiner here.